While Waterloo Air Products plc is well known for its wide range of high performing air distribution products, it also has an in-house paint shop with staff that produce excellent finishes. 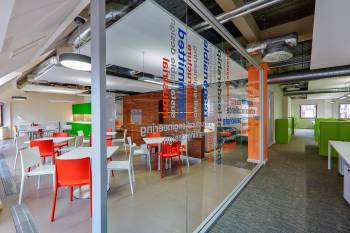 The purpose-built facility offers customers an extensive palette of colours and finishes that offer exceptional durability, quality and minimal environmental impact. Waterloo Air Products plc has expanded its product range, targeting the residential market with the launch of Plasterline Linear Grilles. The Plasterline Grille offers a solution for the prime and super prime residential markets where architects are increasingly expecting discreet design-led, air distribution solutions that give optimal performance. There are four models in the range, each produced to be integrated into a building’s design. Once fitted within a wall or ceiling, the Plasterline Grille provides a subtle but structured appearance without compromising air flow. It can be used in modular or continuous situations with ceiling, sidewall, cill or bulkhead applications. Waterloo offers many optional finishes which are available on request in a variety of configurations and colours. 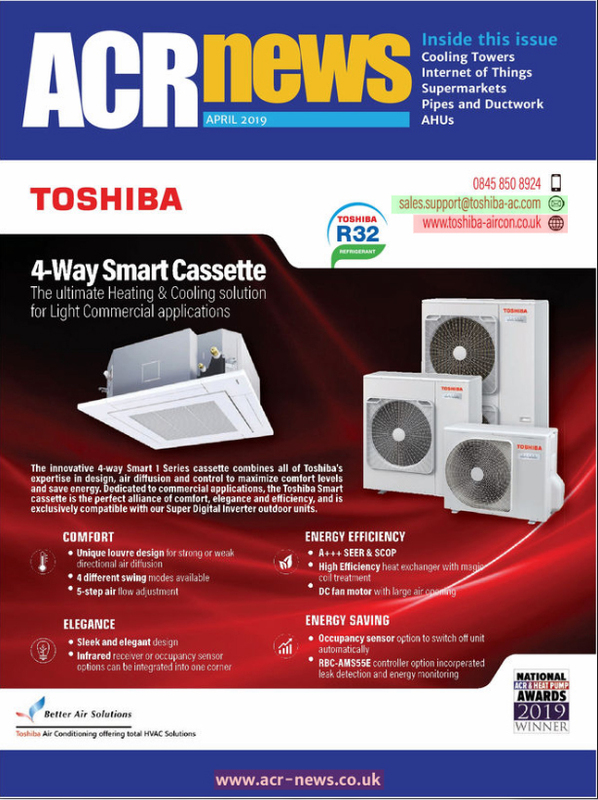 The company has also introduced a range of grilles that feature an ‘industrial edge’, to meet the requirements for air distribution in minimalist building design that calls for exposed ductwork. The Urban Grille is manufactured from 1.6mm galvanised steel and has been designed specifically for projects where exposed ductwork is a feature of a building’s design. Three models are available: Urban Curve (UC) (pictured below), Urban Flat (UF) and Urban End (UE). A range of options includes removable cores, adjustable horizontal or vertical blades and blade pitches depending on the application and model required. The Urban Curve is designed to match the side walls of galvanised steel oval ducting and is available with various throw angled blades to suit project requirements. 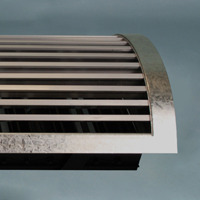 The Urban Flat grille suits vertical throws when installed on the underside of galvanised steel ducting and the Urban End grille fits into galvanised steel flat oval ducts. Blades are available for the Urban End in various angles depending on the throw characteristics required. Urban End Grilles are built to suit standard heights, but can be manufactured to fit any width as part of Waterloo’s free design service. On top of the standard 300 RAL and BS colours, customers are able to make selections from a full range of non-standard powder coats including metallic finishes. In addition, Waterloo’s ‘swatch’ service offers customers the chance to simply send a swatch of the colour they have in mind and Waterloo will match it. Furthermore, depending on project requirements, anti-bacterial finishes for hospital environments and clean laboratories as well as textured finishes are also available. One of the latest additions to the company’s paint finish portfolio is hydrographic technology enabling it to offer finishes at a more distinctive level with exceptional results. Hydrographic finishes are proving to be very popular, particularly in high end residential projects. The process enables architects and building owners to showcase a building’s personality or highlight air distribution systems in distinctive ways. Effects include various woods, carbon fibre, animal prints, leather and marbles.